In this news story about Paul Allen there are some rather scathing judgements about his apparent lack of investment success, yet not a lot of praise for his local support of his home town of Seattle. As a previous employee under the Paul Allen empire, perhaps I’m biased. I once visited Seattle back in 1995, and even had a drive-by-tour of Mr. Allen’s mansion on Mercer Island. I was told he even had a house on his property where his Mother lived, and it was pretty clear to me that unlike other world-travelling media-spotlight Billionaires he was choosing to live a very local lifestyle, surrounded by family, friends and the great Northwest. In my view, this is to be admired. The mid-nineties was a time when Billionaires were much rarer, and when the Microsoft story was still full of promise and hype – to the extent that Bill Gates was very much the Mark Zuckerberg of the day. No doubt some of Paul Allen’s poorly received investment advice would have been on the back of dubious characters in awe of his immense wealth wanting exploit that for their own gain; I can’t begin to imagine the sorts of scammers and con-artists that sort of wealth must attract. It’s when you start to look at some of the impressive changes in the South Lake Union area and other places around Seattle that Paul Allen’s investments are to be admired – and more importantly his obvious home-town passion. Allen first gave $US30 million to a non-profit in the early 1990s for green space in the area. After Seattle voters twice rejected taxes to fund the project, Allen went it alone, shifting the vision toward a thriving business district. Vulcan representatives say Allen has spent about $US2.5 billion on South Lake Union since 2004. Amazon arrived as a tenant in the spring of 2010, and two years later bought 11 buildings for $US1.16 billion – the largest US commercial real estate deal of 2012. After the Amazon sale and several smaller ones, Vulcan values its total real estate portfolio – made up predominantly of SLU holdings – at about $US1.5 billion. That means it has already broken even on its investment and has pocketed hundreds of millions of dollars in rents over the past few years. And Vulcan still owns 43 of its original 60 acres in the area. 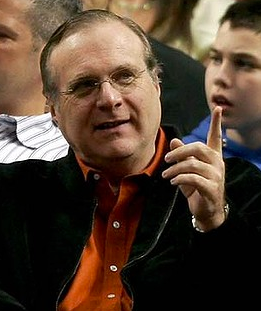 via Microsoft Co-Founder Paul Allen | Philanthropy | Investments. ← Do Australians really suffer from Facebook fatigue?